sweets, would you know a scrapping shop here in central london? i am ITCHING! I honestly haven't a clue if there's any in Central London. Will let you know once I do. Sorry D! Most of the scrapping shops in the UK are located outside Central London. 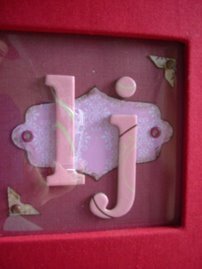 I've checked scrapbookdirectory.co.uk - none in London. You'd probably may be able to find lots of stamping shops though. I remembered going to one in Covent Garden where the whole little shop was full of wooden rubber stamps and the tools, ink, etc., that goes with stamping. Try going to Blade Rubber Stamps at 12 Bury Place in London - it's near the British Museum. They have lots of rubber stamps and supplies and some scrappin' supplies. I was there about 2 weeks ago. Hope this helps!!! Thanks for the heads up, sbpstamps. Care to reveal your identity? hehe. Bury Place is oddly familiar. Is Quaglino's still there?